We had a couple therapies today. Makenzie did well. Kaleb had a play at school. It was so cute! I thought that Makenzie would be very tired and cranky afterwords but that was not the case! She was so happy and talkitive!. Her sensory system is getting so much better! She fell asleep at church on Sunday and last night she fell asleep in the chair with the T.V. on. Normally she will not fall asleep if there is any noise AT ALL!!! I posted another video of her laughing. I am so proud of her! She has learned so much this week and we are beginning to see her personality more and more every day! All of these little short videos of just a few sounds and movements may not seem like much but they are huge!!! I have not heard Makenzie's voice for 9 months and even after a week of tons of sound it still makes my heart skip a beat when she talks!!! Thank You all so much for the prayers! 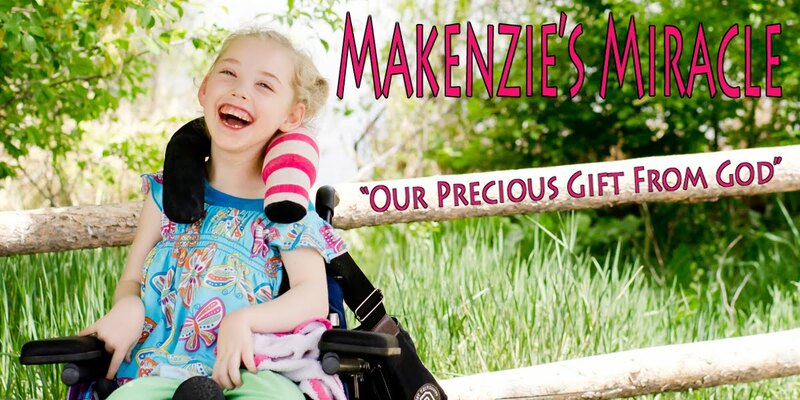 Please keep praying for God's grace, healing, and restoration for Makenzie!